As a safety feature, should the flame extinguish for whatever reason the flow of gas to the burner will automatically be terminated. This only applies to the stove. 10.8V Lithium-ion battery technology for strong suction and fade free power. Ease those washday blues with this great washing machine from Candy. It has a generous 10kg capacity, which makes it the perfect choice for large, busy households. This model is really kind on your utility bills as well, thanks to its super-efficient A+++ energy efficiency rating; you won’t find it too expensive to run. You can also connect to it remotely via Candy’s simply-Fi app, so you can choose the best cycle and control your machine directly from your compatible smartphone or tablet. As a safety feature, should the flame extinguish for whatever reason the flow of gas to the burner will automatically be terminated. Sensoric Washing Machine with automatic stainRemoval and multiTouch LED Display. Effortlessly power through your laundry pile with this Candy condenser tumble dryer. It has a generous 10kg capacity, meaning it’s perfect for large households. You won’t find it too taxing on your utility bills either, as it has a B energy efficiency rating. Sensor drying technology makes it more economical, because it detects how much moisture’s left in your laundry and stops the cycle when it’s dry, using only as much energy as it needs. You can even check on your washing remotely, as this model connects via Wi-Fi to your compatible mobile device, using Candy’s Smart Touch app. Smart Touch with NFC (Near Field Communication) – Simply by downloading the Candy simply-Fi app and placing your smartphone on the appliance, you can expand your drying horizons and find the most suitable type of washing for your needs with these additional features., access to 40x additional drying programs, Smart check-up, Smart Start Delay and a step by step guides on getting the most out of your dryer. Effortlessly power through your laundry pile with this Candy condenser tumble dryer. It has a generous 10kg capacity, meaning it’s perfect for large households. You won’t find it too taxing on your utility bills either, as it has a A++ energy efficiency rating thanks to the heat pump technology. You can even check on your washing remotely, as this model connects via Wi-Fi to your compatible mobile device, using Candy’s Smart Touch app. Intelligent control – on all surfaces. Clean performance with no loss of power. The new powerSensor Technology from Siemens. The innovative, fully automatic powerSensor Technology ensures thorough cleaning performance with no loss of power — even as the dust bag fills up. This ensures faster cleaning results without premature bag changes. Four soft rollers Simple, gentle vacuuming with high mobility. Four soft rollers for optimal manoeuvrability and soft, gentle cleaning, particularly on hard floors. XXL dust bag volume. Extra convenience when vacuuming. Extra-long and extra-convenient vacuuming — with the extra-large XXL dust bag, it's easy. Follow-up costs are substantially reduced as fewer dust bag changes are required. quattoPower Technology. This highly efficient system is based on the unique combination of highPower Motor, High Performance nozzle, optimized air seals and innovative PowerProtect Dustbag. This high performance technology of Siemens ensures outstanding cleaning results with low energy consumption. Class A Performance Hardfloor. The hard floor cleaning performance class measures the dust pick-up on hard floors with crevices and joints. The better the hard floor cleaning performance class, the more thorough the in-depth cleaning results of floors with crevices and gaps like tiles and floor boards. 12 m operating radius. Longer and more convenient vacuuming. Extra-long cord for an extra-large operating radius of 12 m. Vacuuming is much more flexible and convenient — and the number of socket changes is reduced to a minimum. Air seal. A dense construction reduces potential loss of airflow - important for high dust pick up. Dust separation system. The efficient dust separator system prevents any disappointing drop in performance and minimises the maintenance typically required for bagless vacuum cleaners. 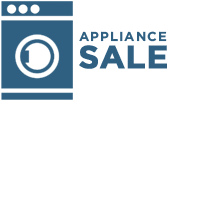 Year upon year, for the entire life of the appliance. Performance regulation with rotary control. The right power for every floor. Rotary control-operated performance regulation for every floor type. Practical, easy and quick. The NoFrost bottomfreezer with VitaFresh plus: Keeps your fresh foods fresh and vitamin-rich longer. No cable. No compromise on performance. The Bosch Athlet has the cleaning performance of a 2400watt vacuum cleaner and the longest runtime of up to 60 minutes.